A Sofa is a classy piece of furniture that can change the whole look of your room. But, how many sofas would you buy a lifetime? I’m pretty sure that you don’t want to spend quite a lot buying sofas now and then. So it is better that you chose a sofa from high-quality furniture brand. To simply put, you need to buy a sofa from the best sofa brand out there. Now you might be wondering who makes the best quality sofas? Haven’t all the multifarious websites confused you a great deal? Well, I was driven crazy by them and that was why I decided to pen down this article. Mark my words. This article will definitely help you choose the best quality furniture brands. My interest in interior designing and the dire need for a comfortable sofa made me do quite a lot of research about the best-rated sofa brands. As a lover of sofas, I have experience using products of top rated couch brands. But wait! If you are in a hurry, we have this list that will give you the whole details at a quick glance. Known for selling the sturdiest sofas in the market, DHP is the best when it comes to affordable and quality sofas. Their sofas have hardwood frame ensuring maximum strength. DHP is the best quality furniture brand as durability and comfort are given equal importance. If you’re looking for stylish sofas at affordable rates, then this is your product. Their products are available in different materials and pretty colors. The firm seating and space saving design are great to have on any couches. Yeah, you will also like the fact that these sofas are very easy to assemble. Ashley produces genuine leather models at budget-friendly options to suit your taste. They have an array of traditional and modern designs to choose from so as to match your décor. What you might love the most about this sofa brand is that most of their models are provided with luxurious cushions. This is the best recliner brand that sells stunning sofas and is a quite pocket-friendly option. When it comes to recliner sofa brands, there is no other name will come into the picture before Homelegance. 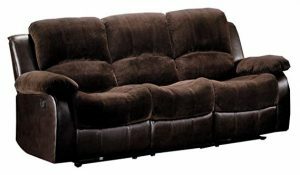 It has fabulous Leather models and the couches are easy to assemble as well as to operate. Again, for the people who are ready to spare some more time to know everything deeply, I’m going discuss in detail. Doing a bit of research or reading through helpful articles like this one is necessary for choosing the right sofa brand. But before that, don’t you want to know the criteria by which I decided which brand is the best? Firstly, Quality. The frame, filling and seating support of the sofas that I’ve chosen are of high quality as these decide not only the comfort but also how the shape is retained by the sofa in the long run. The fabric of the sofa was also considered. Customer support of the brands was also analyzed because you are entitled to get the benefits of choosing the top furniture manufacturers throughout the time you use their products. Most top rated sofa brands are expensive furniture brands. I made it a point to see that the brands do not price their products more than what they deserve. The style, comfort, and longevity of the products were also considered. The market leaders are sure to offer many stylish options in varied colors too. Ah, now let’s get into the business! Here, I’ll discuss with you about the best furniture brands that produce the best quality sofas. Before I start let me assure you that I’m not being partial in presenting the following brands as the best and the most durable sofa brands. The top rated brands that are listed here are the ones that fulfill the aforesaid criteria in selecting the best sofa brands. I promise you that you can buy any of the best quality sofa brands discussed here with full confidence. This high-quality furniture brand offers a wide range of comfortable sofa beds that are quite durable. 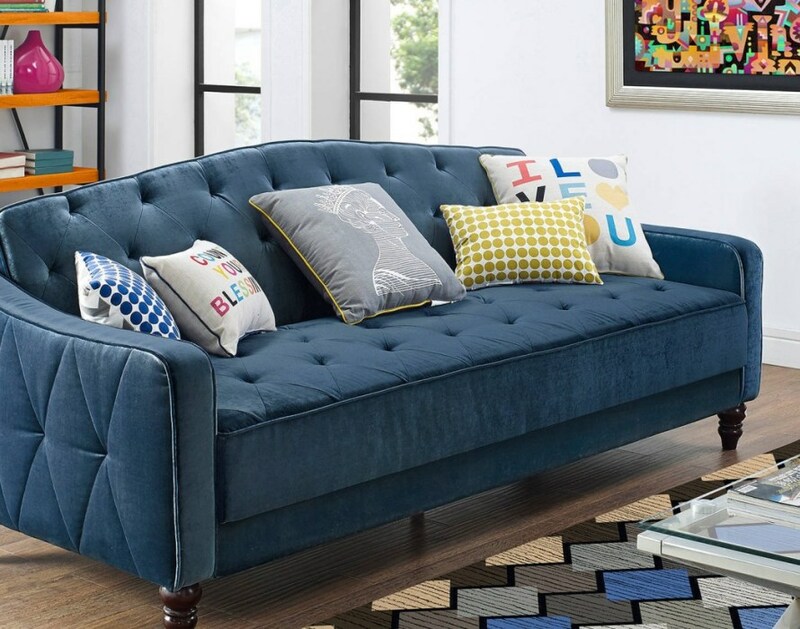 This good sofa brand offers products that are quite stylish, suiting the taste of everyone at your home, be it your partner, children or your parents. I bet that you can’t complain that the sofa is uncomfortable as the coils being encased independently makes the sofa feel like heaven. But, if you are looking out for very soft seats then some models may not be suitable for you. Above all the sofas is space saving as these are convertible sofa beds. The memory foam mattress filling supports the body contour so well that you feel like lying on it all the time. Even your grandparents may prefer to sleep on these cozy firm sofas. You no longer have to worry about unexpected guests or sleepovers if you have a DHP sofa bed at your home. It’s time for one more good news – The products sold by this high-end furniture brand are pocket-friendly too. Without any fraction of doubt, DHP is one of the most durable sofa brands available in markets now. The brand offers mostly stylish firm sofas available in a variety of colors. Yeah, you don’t have to think much about the budget part while buying a sofa from this great brand. Serta is one such quality sofa brand that offers products so easy to assemble that even your children can do the job! But wait, let me tell you that they are not that inferior to DHP when it comes to quality. In fact, Serta is a great sofa brand which produces quality sofas. The only reason we have put them into the second slot is because of the price. Compared to DHP sofas, Serta sofas are bit costly. But remember, you’re getting a great quality piece of furniture in that price. These sofas come in single boxes. Most of the Serta models can be assembled without tools and can be put together in less than 30 minutes. Well, that’s not it; I think this sofa brand values our time a great deal. Almost all the models are upholstered in easy-to-clean fabric. In short, these branded sofas are time-savers. No other sofa brand can compete with this best quality furniture brand in terms of its durability. This brand sofa comes with a well-built hardwood frame that makes it super strong. The plushy cushions make the sofas so comfortable that you cannot resist sitting on them. The attractive designs lure anyone who wishes to buy a sofa. This brand offers sofas in a wide range of colors. You can choose the right color matching your décor. Some customers express the discomfort owing to low seat height. So make sure that you see the product description before purchasing so as to ensure it suits your preference. Another con pointed is the chemical odor associated with the sofas soon after delivery. But how long will such smells last? I certainly don’t think that you should stop considering this brand for such a silly reason. Serta, is no doubt, the leader when it comes to couches and it offers gorgeous models with well-built hardwood frames adorned with soft cushions. The sofas of this brand are easy to assemble and you will enjoy the clean and comfortable upholstery they have. Are you a lover of traditional designs? Are you searching for elegant furniture that goes well with your classic décor? Then, Coaster is the best furniture brand for you. That doesn’t mean that this high-quality furniture brand does not offer modern designs. You will have to strive hard to break the sofas of this best furniture manufacturer as they are quite durable. Some models are transition models that can be used as recliners. Some customers have expressed in the reviews about issues in the reclining mechanism in some models. The sofas come in leather as well as fabric. Your guests are sure to comment on the gorgeousness of your living room décor if you adorn it with a sofa from this top furniture brand. Most models of this high-end furniture brand come with reversible seat cushions so you can just flip the cushions over and use it. Going through the customer reviews, it’s crystal clear that almost all the customers agree that the furniture is not priced more than its worth. So, buy a coaster sofa and get a designer look without a designer price tag. 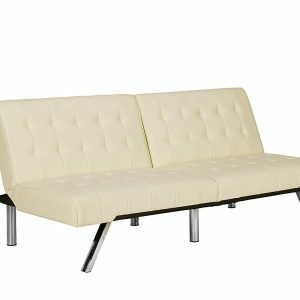 Until now I spoke about the best sofa manufacturers in general, it is high time that I speak about top sofa brands which are specialists in specific types of the sofa. Howsoever, the above brands are, in my opinion, simply the best. 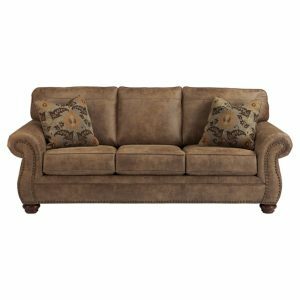 Coaster Home Furnishings produces sofas of both traditional and modern styles and upholstered in different materials including leather. The brand is known for producing top quality recliner sofas. Being one of the best leather sofa brands, the brand name is synonymous with genuine leather sofas. Even though Ashley sells sofas with other upholstery materials, it is deemed as an expert in leather sofa manufacturing. The charming leather sofas produced by Ashely will easily please the eyes of anyone. The classic models come with traditional bun-feet, roll arms and such classy features that will make these favorites of any classic furniture enthusiast. The attractive modern ones are sure to please any age groups. You can never complain about the making as its always top-notch with this quality sofa brand. The plushy cushions, mostly with ultra supportive pocketed coils promises comfort to anyone who stops to take a seat. Who would say no to such squashy cushions? But just as you know, these sofas are not pet-friendly. That’s one major con to be noted. Ashley is an expensive furniture brand, but the price, to me, is perfectly fine and seems affordable to most people who dream of buying a leather sofa. The leather upholstery is sure to add classiness to your décor. What’s more to ponder about? Grab an Ashley and let your guests awe about the beauty of your furnishings. The best leather furniture brand that sells genuine leather sofas at convenient prices. Stylish sofas with plushy cushions and attractive designs that goes even well with traditional décor. If you are thinking of pairing contemporary style with tradition, then, Modway is the right choice. Modway is surely the best leather sofa brand in the market at present. This is noted for the wide number of leather sofa models it offers to its customers. One of the best furniture manufacturers, this brand produces classical as well as modernly styled models and sometimes blends of the two styles. This good sofa brand promises its customers ‘a look of nobility’ through its mid-century model sofas. The buttoned cushions and the bonded leather upholstery are sure to give the impression of being luxurious. While wooden legs give the traditional appearance to the classical models, the steel legs gifts contemporary look to the modern style models. As per customer reviews, some models of this manufacturer are fit to be put any kind of rooms, not just your living room or office space– Yes! Finally, sofas that perfectly fit into any spaces. Another fine thing about this brand is that most of the models are constructed in such a way that even a child can assemble the sofa on delivery. The leather sofas of this best leather furniture brand with their plush cushions and appealing designs invite anyone to have a seat. The comfort provided makes anyone sit back and enjoy. To top it with a cherry, let me conclude by saying that this high-quality furniture brand is simply great with prices too. In comparison with other best leather manufacture brands in markets now, Modway is budget friendly. One of the best leather furniture brands in markets today that makes awesome traditional and modern style. Sofas are easy to assemble and come in different dimensions, suitable for small spaces too. In this era of space-saving, it is good that you purchase a sectional sofa if your rooms are not that huge. I’m about to talk to you about the two quality furniture brands that sell excellent sectional sofas in the following section. If you are looking for a family-friendly sofa, obviously, a sectional sofa ought to be the best choice. When it comes to sectional sofas one can say with full confidence that Divano Roma is the most excellent quality furniture brand in markets today. They produce sofas of all dimensions. Even if your room is small, like 400 feet or so, there are models that perfectly fit in! ‘Space saving’ – this phrase perfectly describes most models. ‘Stylish’ will not be a wrong description when it comes to any of the models of this best quality sofa brand. They produce classic ones that are sure to be the favorites of your parents and grandparents or contemporary elegant pieces that suit the taste of yours – Divano Roma has them all. If you’re looking for great colors, they have the solutions for you. You can definitely grab a great colored sofa that satisfies everyone at your home if you plan to buy one from this quality sofa brand. Comfort is one thing that this high-end sofa brand values the most and assures its customers. Let the sofa be of any material- linen, leather, suede or fabric – maximum comfort is promised by the brand. Sofas of big size are perfect for a good nap. Two cons, in general, are the firmness of the seats and the shallow depth of the sofa. The customers agree that the sofas of this top sofa brand tend to soften and become more comfortable with use. Assembling the sofa is easy as pie. The instruction manual is clear-cut. I bought a Divano Roma Sofa for myself as I found it to be pocket-friendly. Divano Roma is a top furniture brand that offers the best sectional sofas at pocket-friendly rates. Sofas in eye-catching designs that make your guests go Wow!! Is space saving your concern? Then, go for this brand. If you are searching for a firm sectional sofa, the best couch brand to get one would definitely be Poundex. Poundex was founded in 1989 and they proclaim to give their customers the best quality service at an affordable price tag. One of the best sectional sofa brands that allow its customers to choose from a wide range of sofas, Poundex use diverse materials and a variety of designs. Even if you wish to buy a leather sectional, in that case also Poundex is one of the best options for you. Coming in different colors, sofas of this brand are quite versatile and go well with most types of interior designs. If your décor is a traditional type, then there are classical models and if it is modern there are models quite trendy with chrome legs and such stuff. These perfectly blending sofas are easy to assemble and clean. Most of the models are pet-friendly. You can allow your cats and dogs to have a good siesta on these sofas without worrying how hard removing the fur be. However, light-colored sofas are prone to staining and it is somewhat hard to remove stains. The manufacturers give due importance to style. No one can complain about the awe-inspiring designs of this top sofa brand. But you will have to compromise on comfort if you are going for these sofas. None of the models claim to be super soft as to prevent you from getting up from them. The assembling can at times be a little confusing but most models are delivered with unambiguous instruction manuals and with all the necessary tools. Interlocking helps keep the different pieces to stay intact while use but in some models the length of the screws are less, making these couches see-saw like. Poundex is obviously not an expensive furniture brand. Its products are fairly priced. You will definitely not have to pay an extra shilling more than the worth of the product. This smart brand offers versatile sofas which include even leather sectional sofas. Easy to assemble and clean, they have pet-friendly upholstery materials. If you’re a fan of sectional sofas, this is worth investing; You don’t have to waste a lot of penny on it. I know very much that you are eager to know the best brand recliner in the market at present. What’s the fun in reading through all this article and don’t get an idea on who makes the best recliner couches? I had spoken about some recliner models before in this article. But, now I’m going to speak exclusively about the best reclining sofa brands. 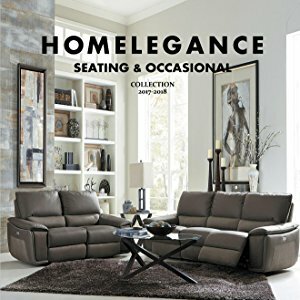 When you look for best brand recliners, the spectacular Homelegance is the first answer that comes into every interior designer’s mind. 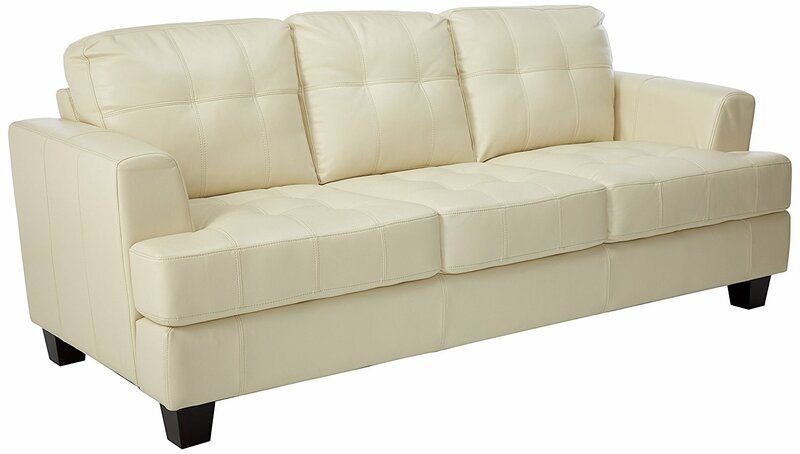 Founded in 1984, this amazing couch brand is one of the best in United States, Canada and throughout the world. The 30 odd years of experience in the industry assures you the best quality products and good value for your money. Most of their models are ornamented with bonded leather upholstery and the styles range from classical to modern. This good sofa brand also allows its customers to choose their dream couch from a wide array of color options. The quality of the leather is satisfactory. This is one such company which offers some of the lowest rates in the market; therefore we ought to compromise on the quality of the leather. The design of the lever mechanism of their sofas is really good. You can easily adjust the positions. Some models of this best reclining sofa brand let you recline fully. 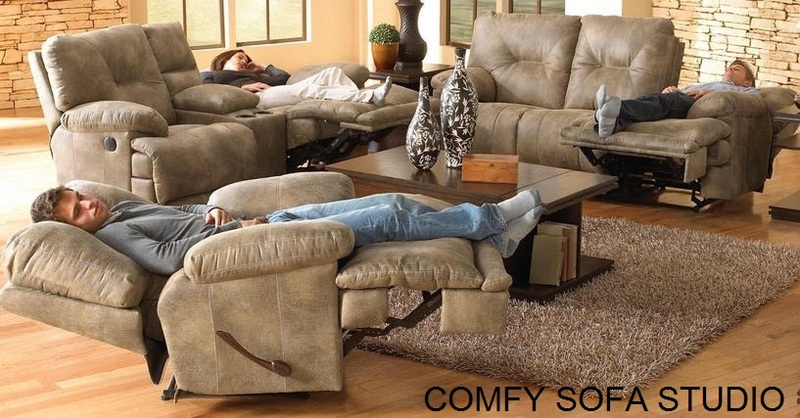 The comfortable recliners allow you to sit back and relax. Even the elderly might prefer to doze stretching out on the recliners rather than on the straight and stiff beds. Just like any top furniture brand, this one also allows its customers to choose from a wide range of options. If you order for a sofa of this amazing furniture brand I guarantee you that you don’t have to worry a bit about the assembling procedure. It is as simple as ABC. Deployment of advanced technology and innovative solutions make Homelegance the best among best brand recliners. The best reclining sofa brand in markets today, Homelegance gives value for your money from an extensive product collection. Just as the name suggests, it is an elegant sofa brand that produces sofas which come packed with the best technology that allows you to recline in any positions that you wish. I hope that by now you have got an idea about the best couch brands in the market at present. Any home decor expert will always suggest buying top-rated sofa brands as they can be trusted. Let it be of any material or of any type, but make sure that it suits your taste, goes well with your decor and give you maximum comfort. I am damn sure that these sofas are going to make a change in your life. I think you must have got the answer for ‘who makes the best quality sofas?’. Now you are ready to procure a great model of a top furniture manufacturer. Why waste time then? Get the best sofa for your home from the list of these amazing brands we have provided. Moreover, let us know how do you feel about them.